The three tables below summarize the results of the meta-analysis described in Kathiresan et al. (2009). 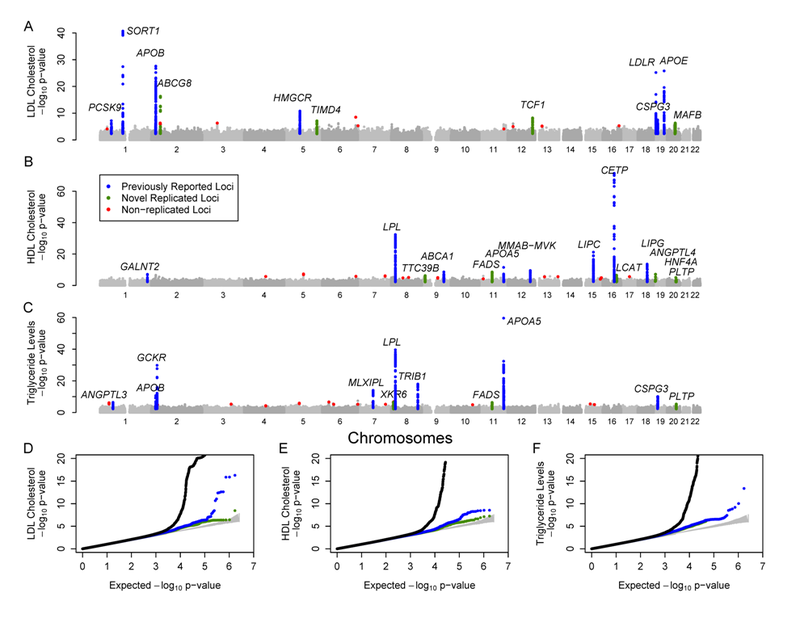 Each table includes seven columns: the rs# for each SNP evaluated, the two alleles of the SNP in genome-build 35, the number of individuals evaluated for this SNP, the combined z-statistic for the SNP (a positive statistic indicates allele 1 was associated with increased trait values), the corresponding p-value, and a summary of the observed direction effect in each study contributing to the meta-analysis. The files included both genotyped and imputed SNPs and are provided in a compressed text file to conserve space. Results for our previous meta-analysis are also available online (Willer et al, 2008 results). Please e-mail Goncalo Abecasis or Cristen Willer with comments or suggestions.